SEOUL, South Korea (AP) — Samsung Electronics Co. reported a lower-than-expected gain in the second-quarter earnings Tuesday, indicating an end to its streak of record-breaking financial results as sales of smartphones and display panels slowed while memory chip profit stabilized. The South Korean tech giant said that its April-June net income stood at 10.98 trillion won ($9.8 billion), up 2 percent from 10.80 trillion won a year earlier. The result fell short of the analyst consensus of 11.14 trillion won, according to financial data provider FactSet. Sales fell 4 percent to 58.48 trillion won ($52.3 billion) while operating income advanced 6 percent to 14.87 trillion won ($13.3 billion), in line with its earnings preview earlier this month. The latest results indicate an end to Samsung's streak of record-breaking financial results that stunned investors. Samsung, the world's largest maker of memory chips, smartphones and display panels, reported explosive profit growth in 2017, driven by an unprecedented boom in memory chip business. The profit growth in the memory chip business began to stabilize this year but it is still the lion's share of Samsung's bottom line. During the second quarter, its semiconductor business generated 11.61 trillion won ($10.39 billion) in operating profit, nearly 80 percent of the entire operating income. On the other hand, Samsung's handset business reported a big fall in quarterly profit from a year ago. Sales of Galaxy S9 and other flagship smartphones declined while it had to spend more marketing expenses to promote phones. Its phone business reported 2.67 trillion in operating income during the three-month period, compared with 4.06 trillion won a year ago. With growth in the premium smartphone market stagnating but the competition intensifying, handset makers have increasingly struggled to increase their profit. 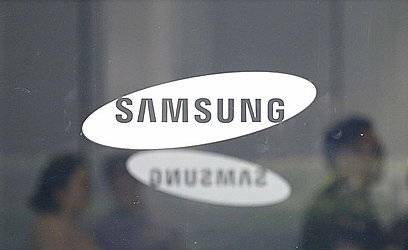 Samsung gave an upbeat forecast on the semiconductor industry, echoing the rosy view of other memory chipmakers. But it expected challenges in the mobile business going forward. "The outlook for the memory chip business remains strong across all applications thanks to demand for server and PC memory as well as new mobile product launches," it said in a statement. "The mobile market condition will likely remain challenging in the second half amid pricing competition and new product launches." Samsung is due to announce the latest iteration of the Galaxy Note smartphone next week, which it said will hit shelves sooner than previous years. The company said the new Note smartphone, which has often been the most expensive phone model from Samsung, will be sold for "a reasonable price" this time. Costly high-end smartphones have increasingly lost luster in recent years because older phone models demonstrate decent performance for most consumers.